Want to Make Mom Happy this Mother’s Day? Read on! 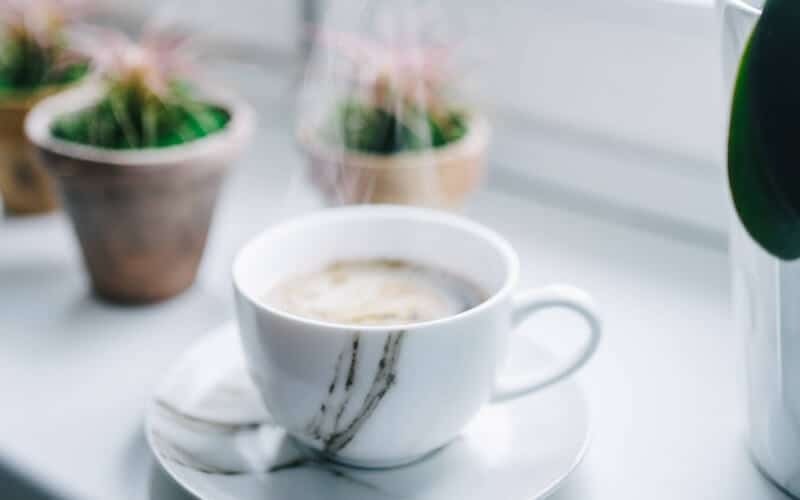 Us moms are tired, stretched, overworked and honestly dream about taking a break – getting a little rest and relaxation. We, of course, would like to have breaks all the time, but it is a MUST on Mother’s Day. Spouses, kids: We don’t need you to spend all your money on fancy gifts, but what we are hoping for simply comes from the heart. We cherish moments, memories, and kind gestures and this is no different on Mother’s Day. So before you stress over purchasing the perfect gift for mom, think about WHO your mom is and give to her in a different way. This post contains affiliate links. Disclaimer here. Yep! This means that hubby, kids, dogs all have to do the work… all of it. Cooking, dishes, laundry, cleaning, grocery shopping. You’re getting my point right?! 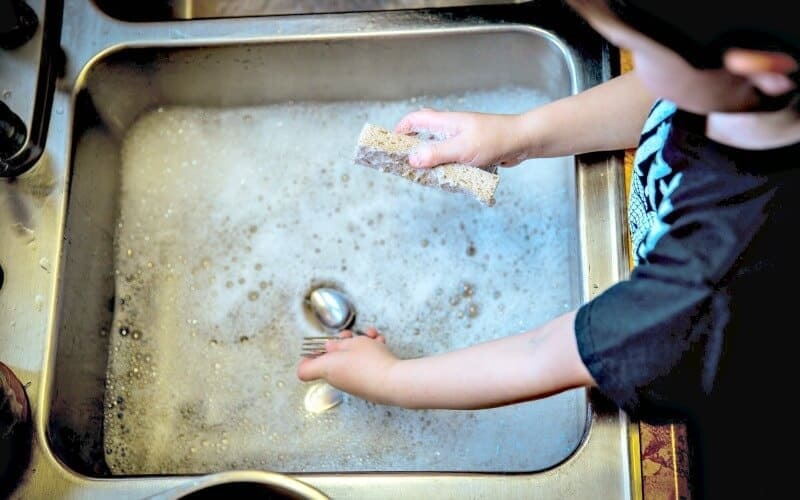 Many moms end up getting stuck with these chores, which they hate on the best of days, so PLEASE don’t let them pick up a thing on Mother’s Day. Nearly free gift idea: Along with doing all the chores, make mom a coupon book that she can redeem when she likes. Making your own book is the best way to go, but if you’re short on time, here’s a coupon book you can pick up. Not a massage that costs $100 an hour, but the one where hubby gets out the massage oil and makes magic happen! I don’t know a mom out there who wouldn’t REALLY appreciate that. Oh and go ahead and put a massage in that coupon book so we can redeem a few more after Mother’s day. Nearly free gift idea: Pick up this organic, all-natural coconut massage oil. You can also mix a few drops of mom’s favourite essential oils into the coconut massage oil. If she doesn’t have any – this is the perfect essential oil starter pack. Take mom and kids for a walk or a hike so you all can enjoy the outdoors and simply BE together. Getting outside and spending quality time together lets mom upwind and enjoy the simple pleasures. Free gift idea: Let mom pick the place you’re spending family time. Or if mom doesn’t want to make any decisions, you choose a destination you know mom will love. It could be a hike, a picnic in the park or a walk by the lake. Oh and don’t forget the camera! 4. Run Mom a Bath. First step: please make sure the bath is CLEAN! Find some bath bombs or epsom salts and get a nice bath going. Light a few candles and pour a glass of pinot (grigio or noir – we don’t mind)! Then, let Mom enjoy (kids: no knocking on the door or playing a pickup sports right outside the bathroom). Nearly free gift idea: If you don’t have bath bombs handy, try this Natural Essential Oil Bath Bomb Gift Set and these lavender + jasmine aromatherapy soy candles. These never get old. We LOVE homemade cards from our kids. We don’t need a fancy gift as a thoughtful card is SO much more meaningful. When I received this from my stepson a few Mother’s Days back I was so insanely happy (my heart was literally melting). This was honestly my favourite Mother’s Day gift ever. 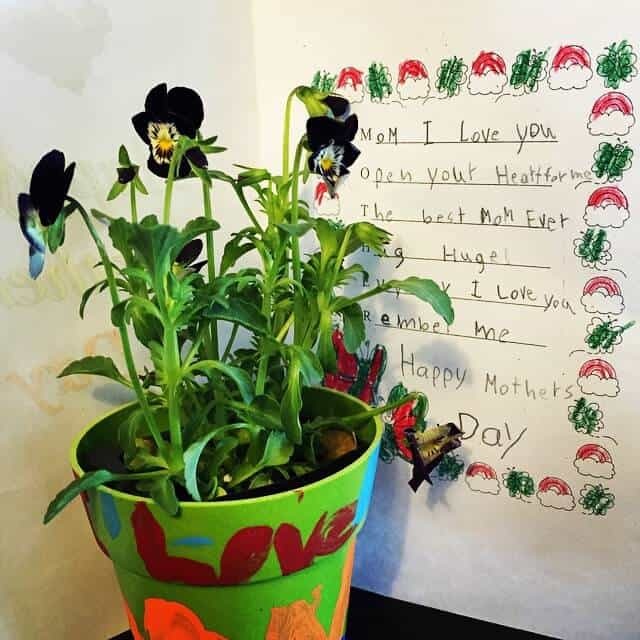 Nearly free gift ideas: Something that can go alongside a homemade card is a potted plant like seen above or this cute journal to fill in for mom. It’s a hardcover book that includes fill in the blank lines so you can describe why your mom is the best. Make sure it’s chocolate 🙂 Or lemon, or cheesecake – whatever mom loves. Honestly though, even if the cake is from a box and decorated with that icky premade icing I know mom will still love it! It’s the thought that counts, remember. Moms will enjoy watching the kids bake, while she’s relaxing on the sofa watching her fave Netflix episode. Don’t forget to clean up afterwards! Nearly free gift idea: Apart from the ingredients for the cake, the alone time letting mom watch whatever she wants is the best gift! 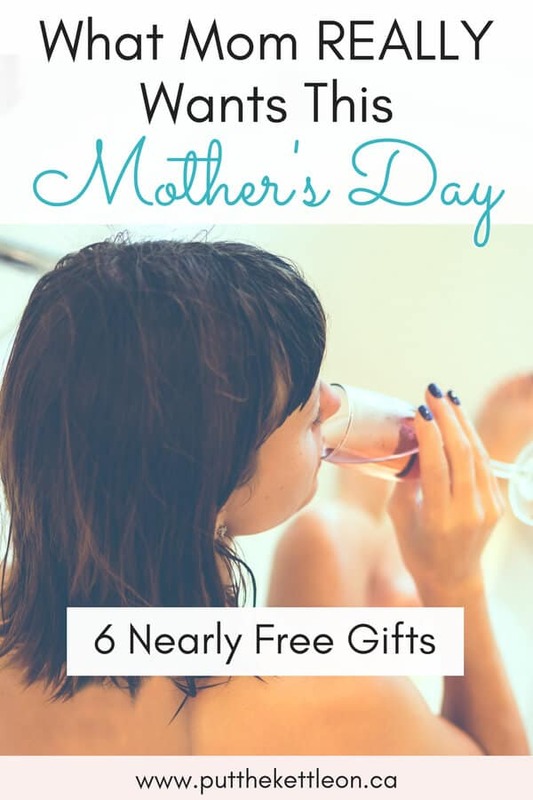 The point of the above nearly free gift ideas is to really think about the kind of mom you have. Think about what Mom appreciates most in life. A great way to do this is to look at the type of gifts mom gives. If she loves photos I bet your mom would be smitten with a beautifully framed picture. Right? Does she like to garden? Perhaps doing some gardening with her is what she’d love. Does she never treat herself? (Hint: this is a lot of moms). 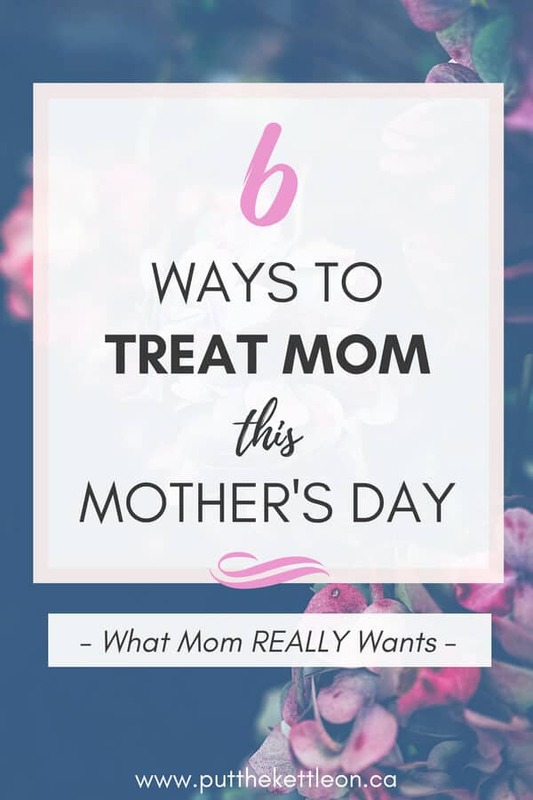 Thinking of a way to provide some relaxation for her this Mother’s Day is the way to go. Is she into music? Make her a playlist of her favourite songs. Mother’s Day is not about spending money, but about putting your heart out there for mom. What nearly free gifts would you love your family to give you this Mother’s Day? Thank you :) You're signed up! I am totally fine with a wonderful meal out on the grill done by my awesome husband. Having my kids around or when they call and I am all set. YES YES to all of this!!! YES!!! chores free and massage and chocolate its all I need! For sure. Much more meaningful too. A day without chores sounds dreamy! All fun ideas! I know my mom likes experience gifts – where we go somewhere. These don’t have to be really expensive either, maybe a picnic in the park or something? Or a free community event? Thanks! Yeah, my mom is the same. Over the years you can only give so many ‘things’ too. I think someone is reading my mind. I would love all of the above for Mother’s Day! Definitely need the massage most though! I would love every single one of these for Mother’s Day, thanks for sharing!! Yeah – I couldn’t agree more!! You hit the nail on the head. My mom always wanted to not have to clean, take a bath and get a massage. So true! LOVE this post! It’s so true that it has nothing to do with how much money is spent on a gift. What really matters is the thoughtfulness that says “Mom, you work really hard. Let me help take a load off”. Thanks so much Kristin! Yeah, I think we all know it’s pretty easy to go out and buy a gift, but doing something extra for Mom makes such a difference. I would love to receive any of these. Nice list. Love this list. I will also add ‘Take mom to brunch’ although that is a little bit more expensive. But I will take any excuse to binge eat!